First the YSL lipstick, now this nail polish.. I think we're dealing with a new favourite colour! Is it just a rosewood phase? Je ne sais pas, but I'm enjoying it while I can. 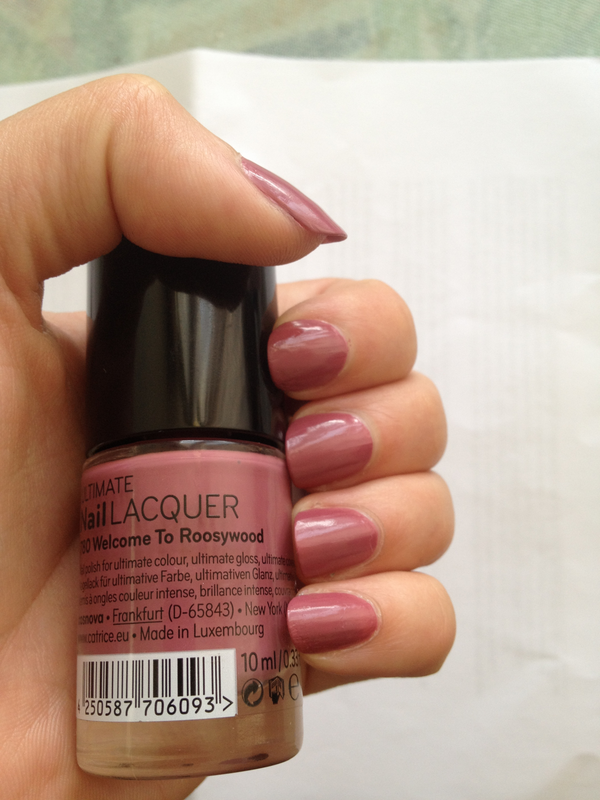 I've bought the Catrice nail polish in 780 Welcome to Rosewood. There are more swatches to watch if you keep on reading! Okay okay, little side note, so you don't call me a cheater. I'm actually not wearing this nail polish today, but I'm still calling it a Nails Of The Day. Because I'm that rebellious. 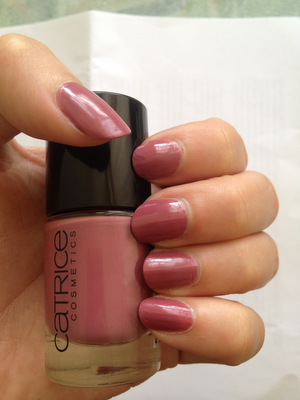 I've told you before that I have mucho amor for the Catrice nail polishes. The quality, the price, the colours.. Love, love, love! So of course I couldn't help myself and I bought another one to add to my collection. Of course. This is a bit of a rose, rosy, rosewood colour. I've expected it to be a bit lighter, don't know why, but it's the exact same colour as the colour in the bottle. This colour is from their new colour collection. On the picture I'm wearing two layers, because I always do. I think that's when a nailpolish is most beautiful and last longest. But I have to say that one layer of this polish is enough! 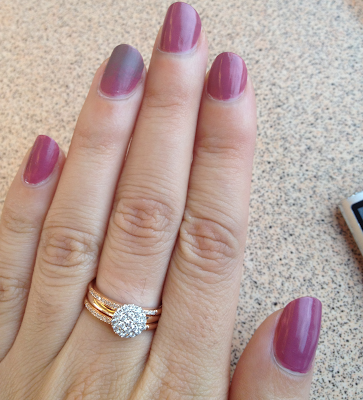 It lasted 3 days without chipping and then I just removed the nail polish. It's a very simple colour. I like the fact that it's a subtle, yet present colour. You can wear it always, it's an appropiate colour. Also a classy colour, me likeyyyy! This colour is also perfect for nail art. I've put the colour next to others and it matched 90% of the time! I've played with another colour, but I don't want to call it nail art. I wanted to do something subtle on the accent nail, but still a little different from the rest. I've added a little From Dusk Till Dawn (also Catrice) with a sponge for an ombre effect and on top of that I added a matt topcoat to see how it would work out. I wanted to do my entire hand when I saw the result, but lazy as I am: I didn't. A little down side: the prices went up! Usually a Catrice nail polish costs €2,49, but I bought this one for €2,69. Still very affordable, but me no likey. I'm still depressed about the fact that they discontinued In The Bronx, my favourite colour ever, but I think I found a way to comfort myself. 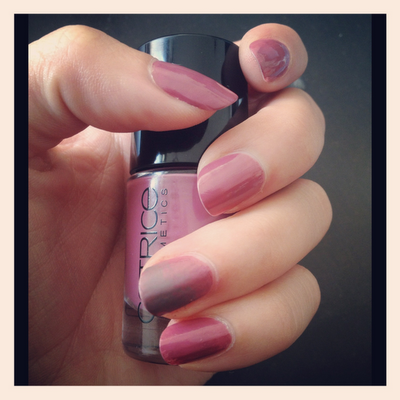 The new collection contains pretty colours and this girl has to try them, bien sûr! What is your favourite nail polish brand? Wat een geweldige kleur. Die moet ik hebben! 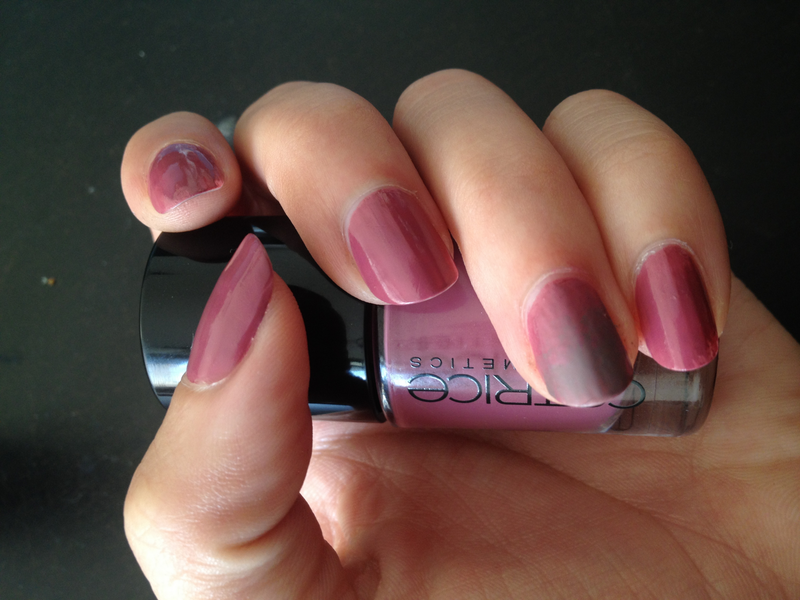 En dat ombre effect is echt super cool! Impressive, isn't it! And the best thing is that it's so affordable! The color is really pretty! I have quite a few Catrice nail polishes and I really like them, except the top coat.